Keeping busy in my shop. 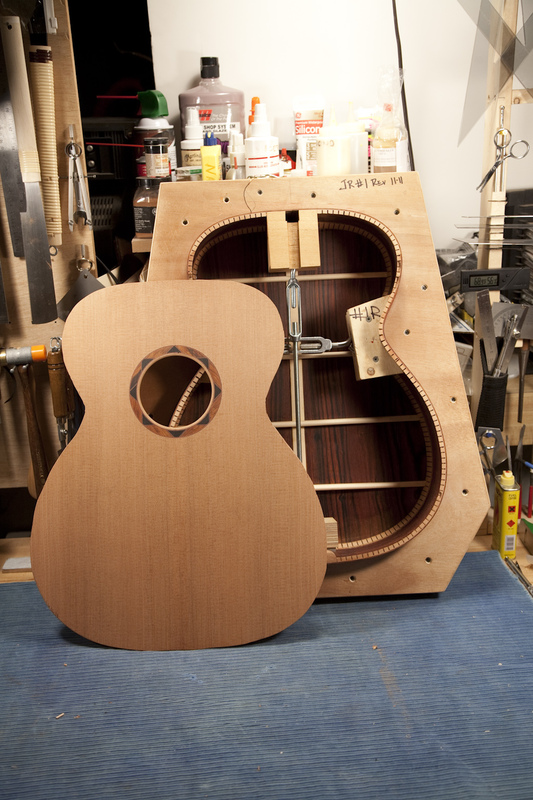 Recent ongoings have included a Guild D-40 repair, the completion of a modified drednaught sized guitar and one of my larger sized guitars on my workbench. 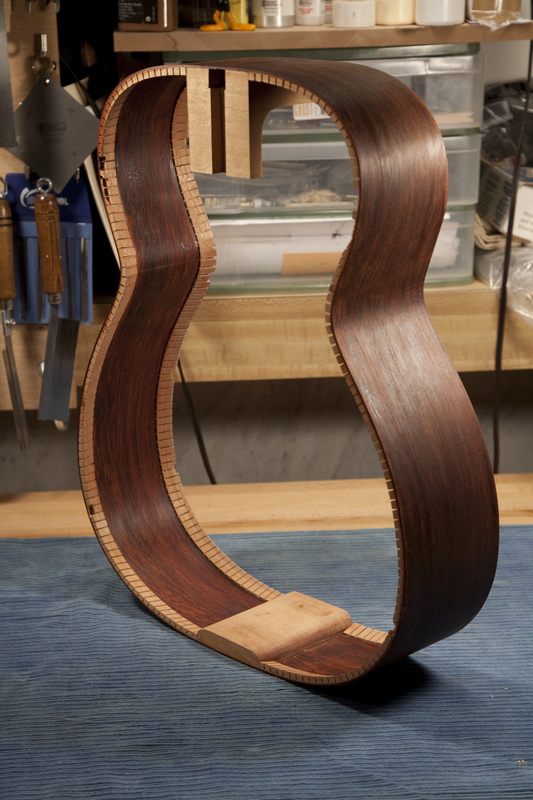 I have been making great progress on this Cocobolo and Redwood acoustic. This baby is getting alot of time and alot of handwork. 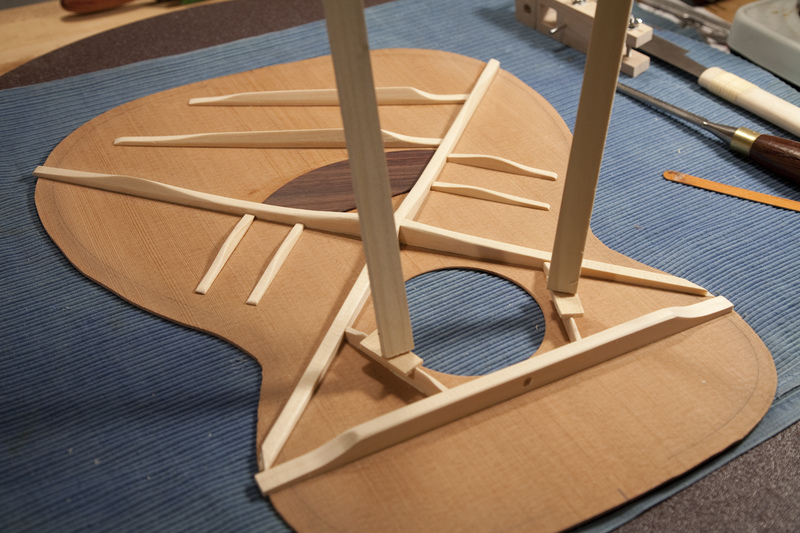 The bracing on the top and back have been installed , the body has been assembled, the box closed and removed from it’s form. It has been waiting patiently for bindings. 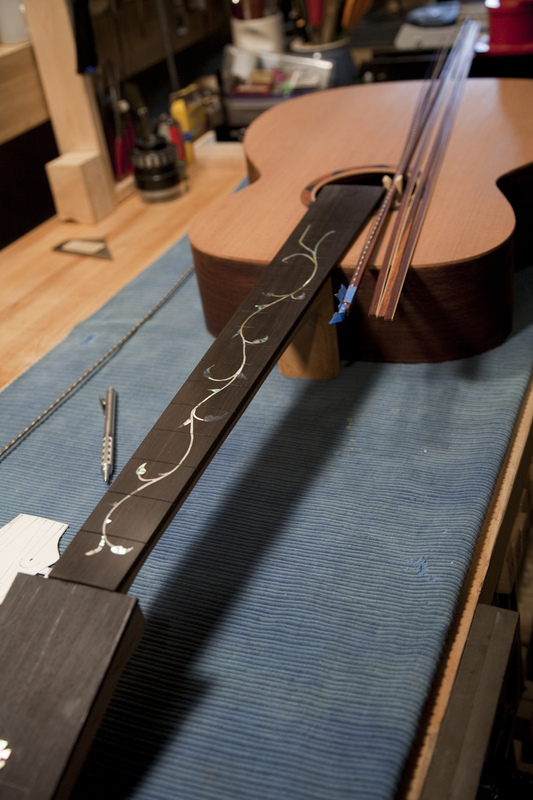 I decided to try my hand at a bit of complex inlay and cut a vine style inlay into the fingerboard. 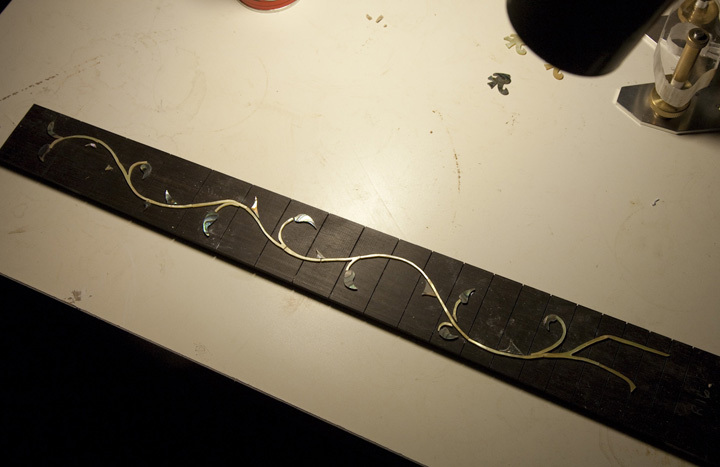 The inlay is gold/white MOP with Abalone leaves and thorns. 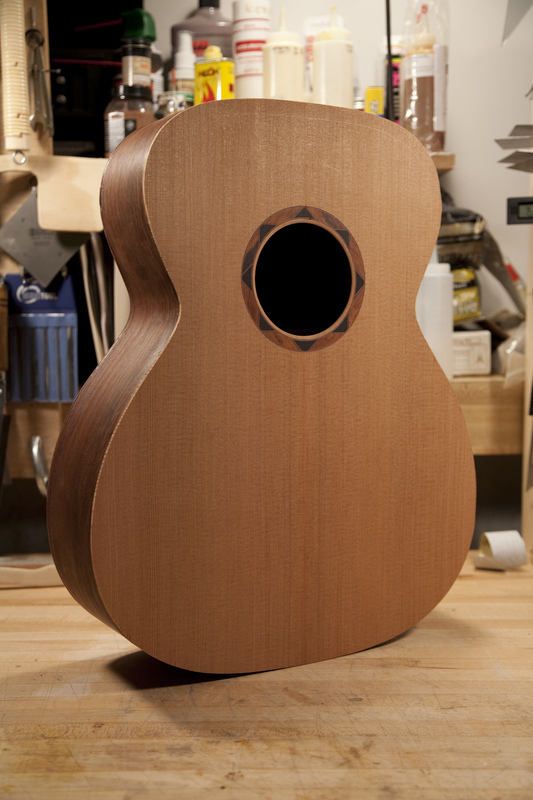 This is totally experimental and my finl decision wether I will use this on this guitar is still to be made. Although beautiful, it is a bit flashy. 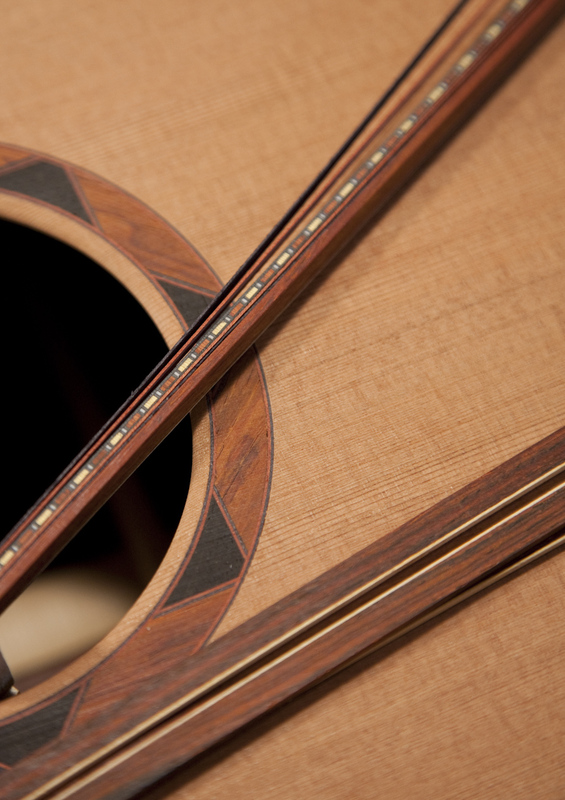 I was playing with combinations of bindings purfling and although I considered a pearl purfling , I decided to stay in line with the guitars earthy feel and use a wood rope purfling with thin strips of black and red wood and a cocobolo binding to match the rosette, with a thin white strip to separate the binding from the sides from the sides. I recently repaired a well used and hard played Guild D-40 circa 1968. 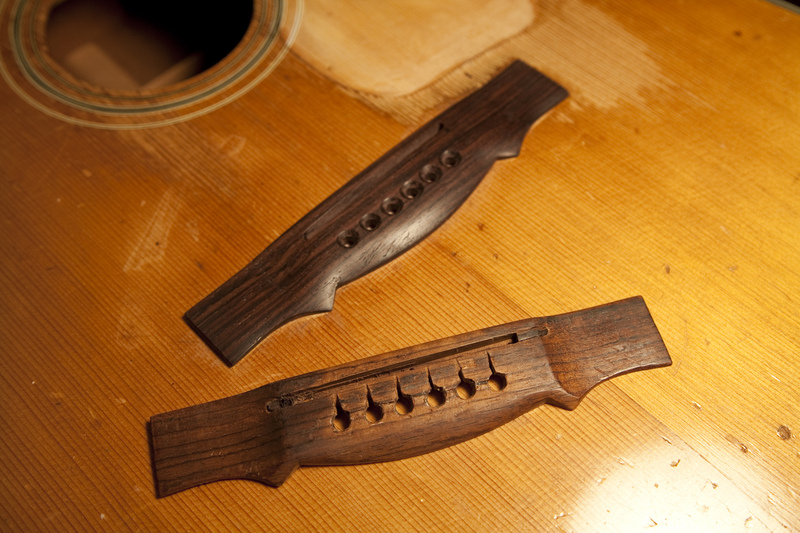 It would not hold tune, the bridge was cracked through the center, the bridge plate was shot, the pick guard was falling off. 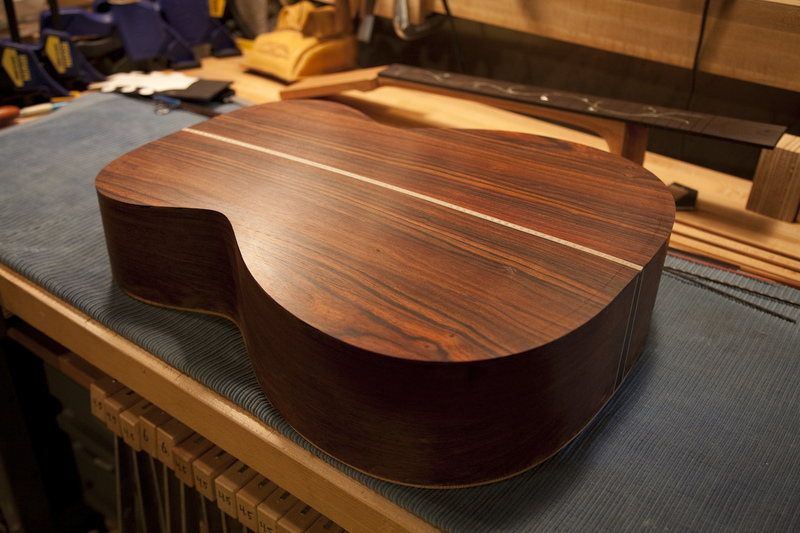 I had to make a new bridge out of rosewood to an exact match and fit. In the end it played like new. 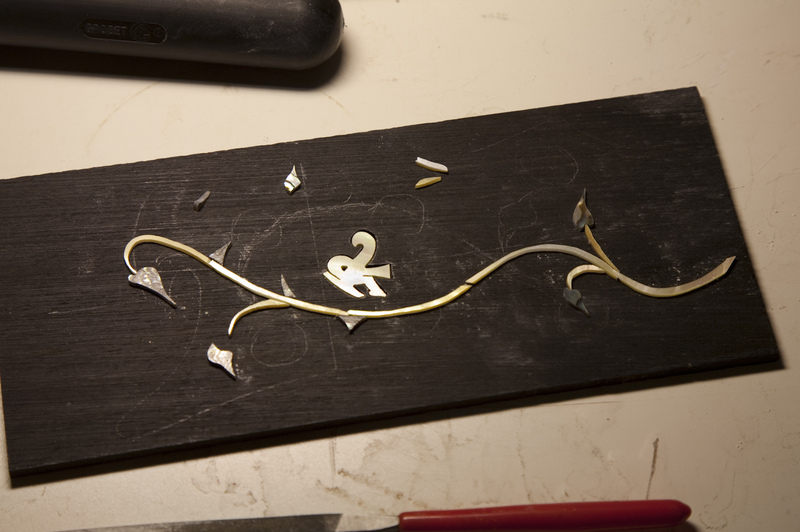 Amongst many things on the workbench I have been cutting pearl for inlay on a fingerboard. This is a vine made of gold pearl and the leaves and thorns made of abalone. 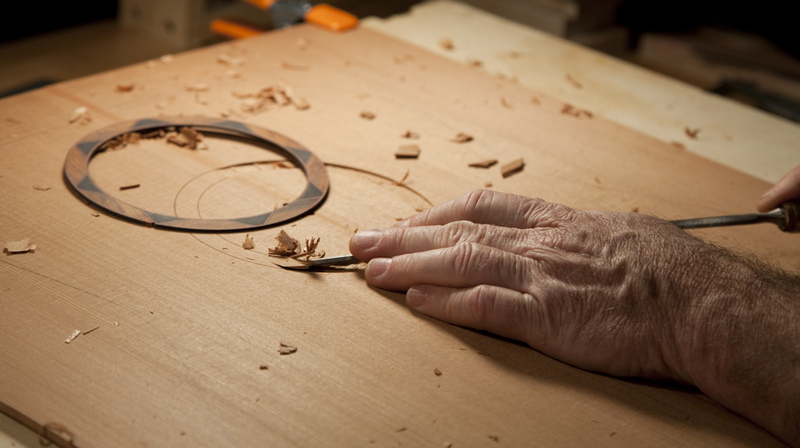 4 hours to cut 32 pieces by hand. Next step to route the slot it will fit into. Phew!